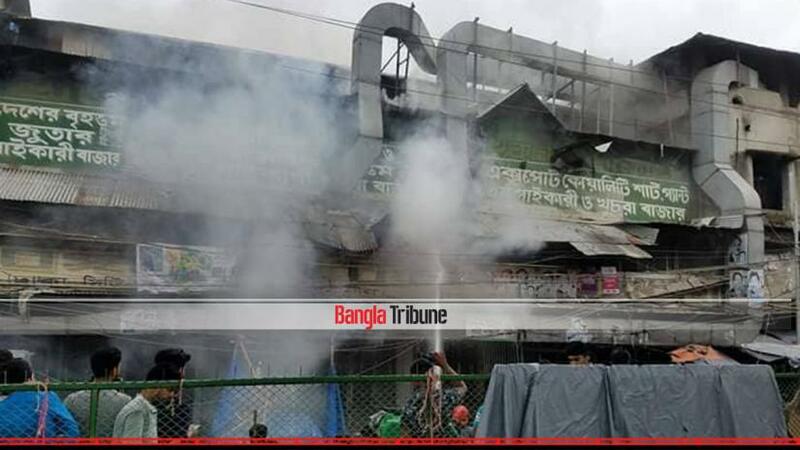 Bangladesh incurred a loss of Tk 250 billon due to fire incidents across the country in the last five years, says the Electronic Safety and Security Association of Bangladesh (ESSAB). Citing the data of the Bangladesh Fire Service & Civil Defence, ESSAB president Motahar Hossain Khan said a total of 19,642 fire incidents took place in the country in 2018, causing an economic loss of Tk 3.86 billion, killing 130 people and injuring 664 more. “Houses, shops, offices and other establishments are being gutted in towns, including the capital and divisional cities, and even in villages across the country. The loss caused by fires could be minimised after identifying the causes behind the infernos and taking awareness measures,” he told a media briefing on Sunday (Feb 10). The briefing was organised to present the features of the sixth International Fire Safety and Security Expo-2019 to be held at Bangabandhu International Conference Centre in the city from Feb 14 to Feb 16. Director General of Bangladesh Fire Service & Civil Defence Brigadier General Ali Ahmed Khan and convener of the expo and ESSAB joint secretary M Mahmudur Rashid were, among others, present at the briefing.